Boutique gyms’ design consultancy is an integral element of our service, in which we take enormous pride. We apply our gym design principles across all sectors; from home gyms, personal training studios and independent health clubs, to local authority fitness suites, hotels, sports clubs and CrossFit facilities. We deliver the most thrilling, 3D bespoke planning experience from the simplest of sketches. Whether you are starting out or looking to refresh your gym, we have the technology and expertise to plan it to perfection. We can revolutionise your appeal as a unique facility, and help you to increase your revenue. Our exclusive designs will bring your vision to life, and ensure that the finest of details are included with the most meticulous approach. At Boutique gyms, we carry out in-depth research before we take to the technology. For us it is vital that we meet you at your premises to gather measurements, perform a complete site survey, talk face-to-face and, above all listen carefully to your requirements. We design for the smallest of garage gyms to the most spacious and luxurious boutique studios. It is essential that we understand your objectives and the ethos of your gym to optimise your fitness space. The layout needs to work for you, your programmes, staff and, most importantly, your clients. Effective design will enable your trainers and members to work out in comfort and safety, and will inspire them to achieve their goals. With our specialist design software, we can incorporate 3D models of equipment from the industries leading brands to build up a stunning floor picture. As an independent company, we can adopt an entirely unbiased approach, selecting with you the most innovative and appropriate pieces for you. We can even include your sockets and switches to create the most realistic and detailed picture. 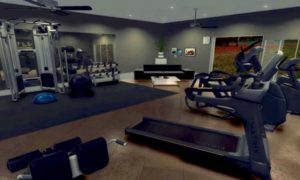 Your plan can be viewed in stunning real-time 3D with a mesmerising walkthrough that will fill you with inspiration and optimism. 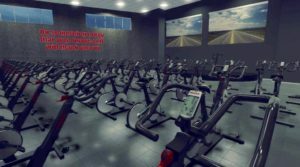 With Boutique gyms 3D design technology, you can be assured of a spectacular package that will have a huge impact on your membership potential. Our designs can be yours for your website and social media marketing to attract new clients long before your grand reveal. It is essential to excite and motivate new members before they take their first steps into the studio.